Tonerro understands the urgency of flexible technical support to customers when necessary for maintaining their systems and providing continued high quality services to their clients. We ensure that our team of qualified engineers addresses all technical needs of our customers in a timely manner. 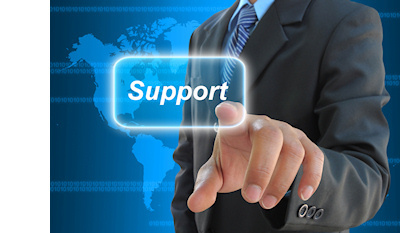 Real time monitoring, alert systems and quality assurances are ones of the key features of our support. The wealth of hardware and software knowledge that we carry in our NOC is a cornerstone of our success and the reason of gained trust among our partners. Tonerro VoIP is deployed so that users receive an acceptable level of voice quality. We ensure that the routing table is made in accordance with QoS & robust quality statistics i.e. Answer-Seizure Ratio (ASR), Average Call Duration (ACD) and Post Dial Delay (PDD) which helps us in catering to our clientele needs and demands. Even momentary outages can be extremely costly in terms of both lost revenue and customer churn. That’s why at work, at home and on the go — Tonerro ensures 24/7/365 round the clock technical support by experienced engineers. Our business is safe and uninterrupted. Timely response to inquiries is the key factor of Tonerro customer support. As technology improves and instant gratification becomes the status quo, focusing on swift responsiveness to inquiries is a powerful way to keep solid cooperation. The expertise of our customer support engineers is invaluable for achieving response within the tight window. Responsiveness is part of our culture. We offer both standard voice services and premium voice services to our customers. Standard voice is a combination of a minimal rate and optimal quality for wholesale providers. Premium services are provided via Direct Routes and a carefully selected supplier base. IP PBX Service meets the needs of a diverse and mobile workforce with a flexible model. Our technicians configure the clients’ systems according to their specifications. It's a process that starts with a good plan and continues by fulfilling the clients’ expectations. The service is underway. Coming soon.